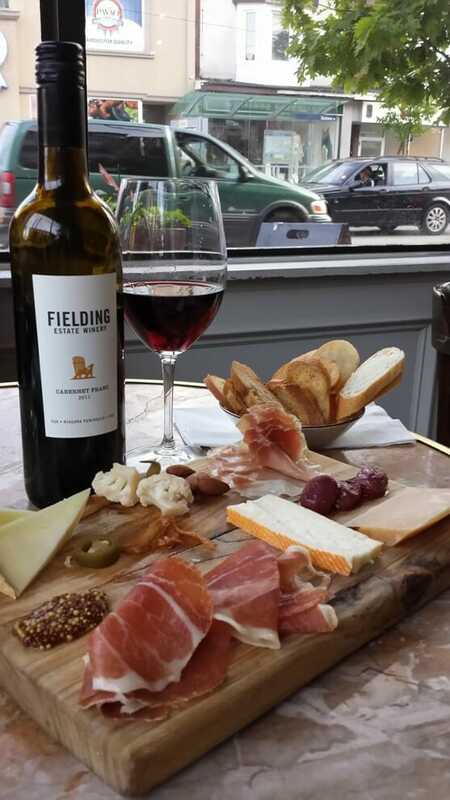 A fantastic combination of local and international wine, cheese and charcuterie at Midfield Wine Bar and Tavern. Wine and travel are inextricably linked in my mind. Wherever I go, I want to know what the locals drink. I want to visit their vineyards, talk to the winemakers, see what wines are on everyday dinner tables and which are opened for celebrations. Likewise, when I am at home, I want to try not only the wines that are produced locally, but those that are imported from faraway lands. And when I find something that I love, I want to travel to that country to see and feel and smell the place that gave birth to it. There is something inherently social about uncorking a bottle. 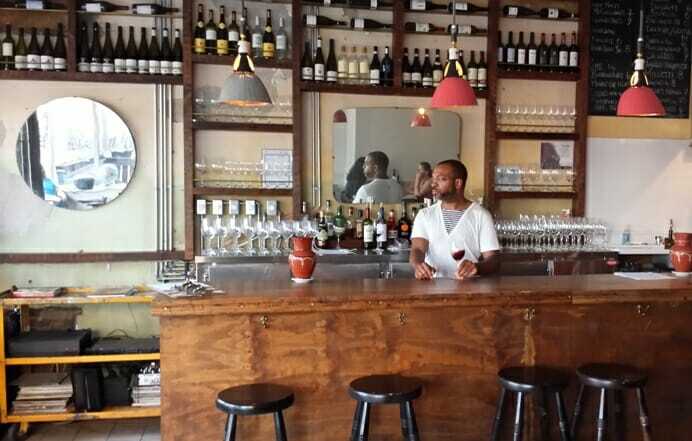 This makes wine bars a great place for solo travelers to engage with new people. People who love wine generally love to talk about it, so you have a natural conversation opener. The wine isn’t the only interesting thing on the menu at Archive. 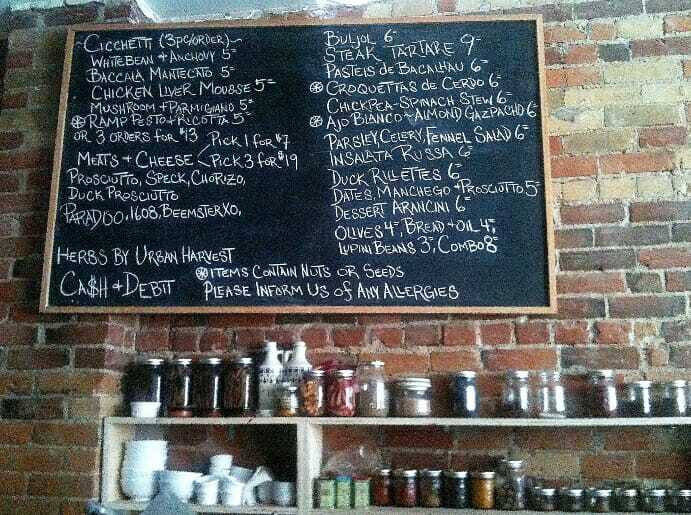 Here are my current favorite places to drink wine in Toronto. Each of them surprised me in some way, and each is solo-friendly. Archive has an impressively long list of wines available by the glass. In fact, all of their 30 or more wines are available in 3 or 6 ounce servings. They specialize in small-batch producers, so you will likely not find any of their wines at your local store. I had my first Georgian wine at Archive, a Saperavi. I had never even heard of the varietal. I love that every time you visit, you can taste something you have never had before – often something that was made locally. Grab a seat at the bar, chat with the staff, and try something from their menu of cicchetti, small plates that are perfect for the solo diner. At Skin & Bones, you can sit at the bar or at an individual or communal table. Skin + Bones had me the moment that I walked in. 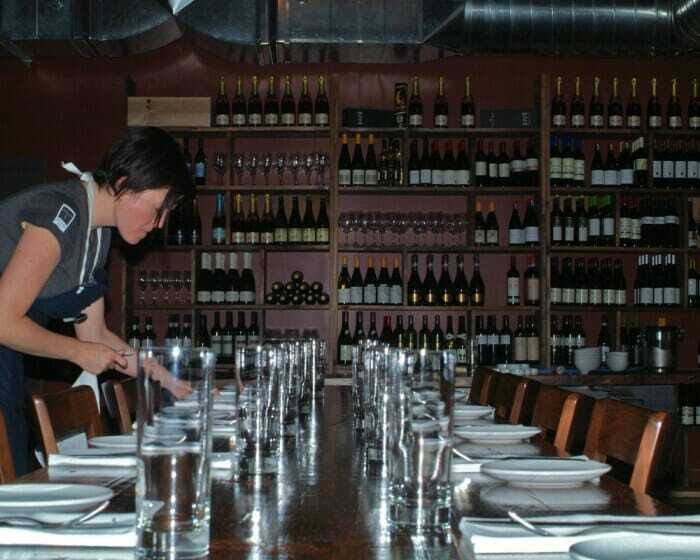 Where most wine bars are cozy, intimate affairs, this space is huge and airy. If you feel like engaging with others, take a seat at the bar. If you prefer to sit at a table and focus on enjoying the fantastic food and wine, take my advice: try the Crispy Chicken Tails and ask for advice on a wine pairing. Although casual, this bar is a little more “special occasion” than some others. The prices are a little higher, but the wines, the expert guidance offered by their sommelier, and the interesting menu are absolutely worth it. Pull up a stool and learn all about the wines on offer at Midfield. Midfield Wine Bar and Tavern is the place that is closest to my heart. It strikes exactly the right balance between casual, cool and sophisticated. The atmosphere is relaxed and laid back, the interior and the people are interesting and engaging, and the wine and food are served with in-depth explanations of their provenance. It was here that I enjoyed my first Greek wine. Prior to this, my only experience had been with terrible house wines in souvlaki joints. And Greek wines are almost nonexistent on shelves in Toronto. At Midfield, they love to introduce you to wines from regions you might not have considered before. Now, of course, I want to travel to Greece to learn more about their wine and food culture. What sets Midfield apart is the passion that the co-owners have for wine, the level of knowledge that they have and freely share, and the pretense-free manner in which they guide you to discovering the perfect wine for you. I could talk to Christopher and Giuseppe all night.